The following week, MU goes into another partnership with the Institute for Disaster Management and Reconstruction, Sichuan University (IDMR-SCU) of Sichuan, China. 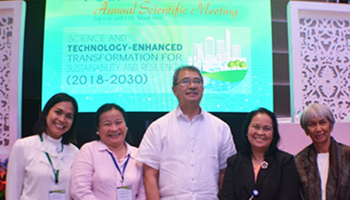 An agreement was made to collaborate in research, faculty and staff exchange, student immersion, joint research, and extension works and to conduct conferences and other academic symposia. These partnerships aim to enrich the MU students’ knowledge and experience through more collaborative research activities and exchange programs.